One of my favorite small streets is Cours Damoye in Paris. It is off of Place de la Bastille. It is not a place most tourists find nor is it in most tour books. It is a very small pedestrian street that is very French with shops and cafes. If you enjoy French architecture and strolling on streets without automobile traffic, this is a place you should see. Place de la Bastille is near the river and not far from Notre Dame or the Pantheon. Plan a trip her on one of your walks. The Bastille metro stop is in the middle of a traffic circle at Place de la Bastille. Facing North East off the circle you will find Cours Damoye. It starts out east and then turns north. 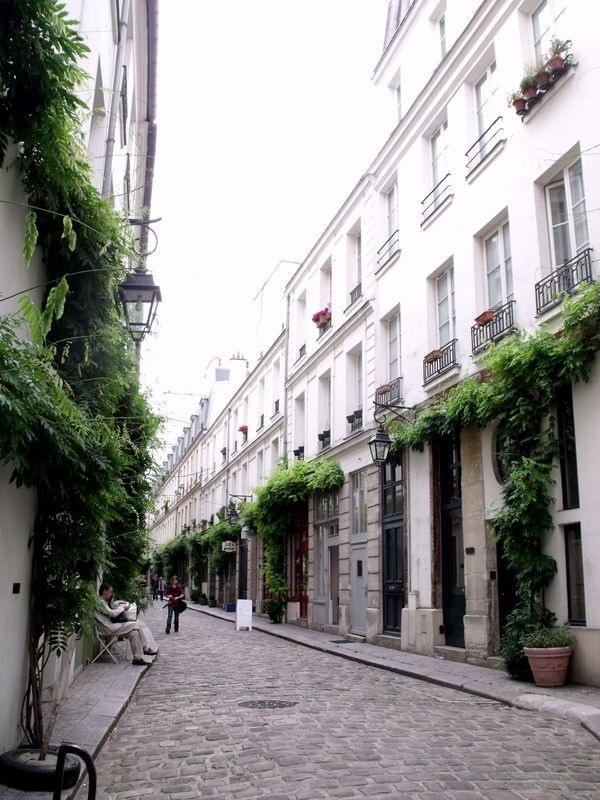 What are your favorite small streets in Paris? Let me know. I love rue Cler. Fresh fruit and veg, amazing cafes, interesting independent shops. Definitely one of my favourites. This place looks incredible too. I’ll have to go visit.